The first Apparatus purchase was made on the 10th of September 1945. 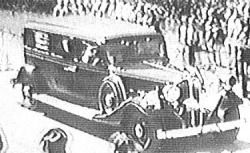 A 1937 GMC was purchase in Philadelphia from the United States Government. In November 1945 additional equipment which included a siren and skid pump was acquired from the city of Hazleton, PA.
On March 16, 1947 the company purchased a Buick Ambulance from Sonny Stramara Used Car Exchange. 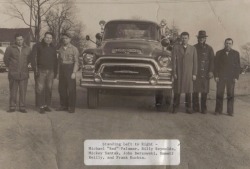 June 1949 a 1921 Hahn Chemical Truck was purchased from Liberty Hose Company of Schuylkill Haven. 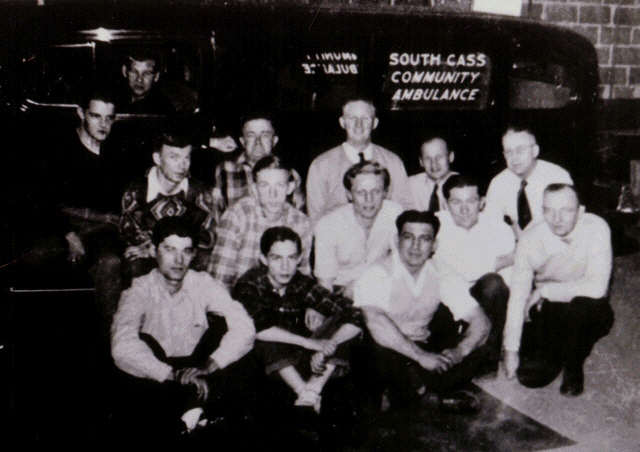 The company-sponsored ambulance service ended in 1954. There were numerous reasons for its demise but it should be noted that it was not for lack of effort by one of the strongest supporter, Charle Fucci. The need for a new fire apparatus became real. One was purchased from Gene Bendigo Fire Equipment of Tower City, PA. 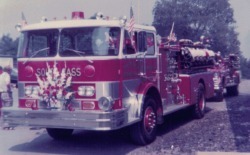 It was equipped with a 1957 chassis from Cressona GMC and oufitted with a 500 gallon per minute pump from the Oren Company of Roanoke, Virginia. 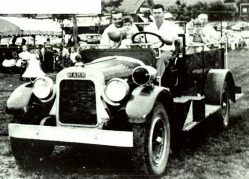 The GMC was sold to Mount Pleasant Fire Co. in 1978. 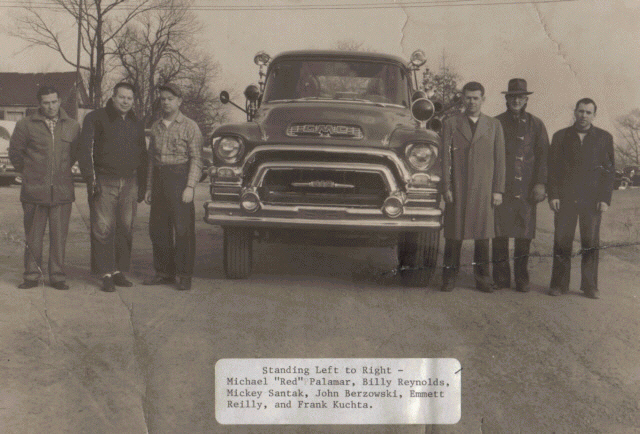 Over twenty years have past since the purchase of our last fire truck. With much determination and resolve on our side the company purchased a 1978 Hahn Custom Pumper from the Hahn Fire Apparatus Company of Hamburg, PA. The Hahn was sold to Newtown Fire Co. in 2003. Many rural fire companies can attest to the havoc brush fires can bring. 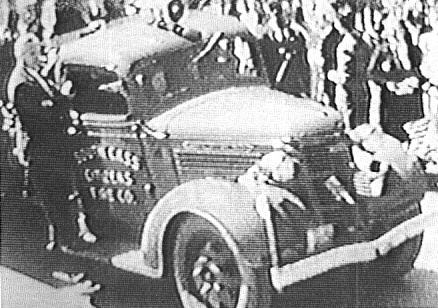 Rather than damaging their primary piece of equipment when fighting these fires, the company requested and recieved a 1953 Dodge Military Weapons Carrier to aid in our efforts. Age had taken a toll on this very usefull truck and had to be taken out of service in 1992. Realizing our old brush truck was a huge asset to the company, the company set fourth to look for a replacement for the 1953 Dodge. The company received a 1985 Chevy 4x4 Military pickup from DCNR. The hard work and determination of our members helped to transform this Military truck into a much needed off-road truck. The truck was extremely useful for brush fires, ATV accidents, search and rescues, hunting accidents and it was very useful at highway incidents too. 2002 we replaced the enclosed utility box with a smaller and lighter open utility box which helped to fight brush fires more quickly. The company took a real hit in 2003 when we realized that we could no longer use our Utility truck. The motor blew on the truck and we were unable to afford replacing the motor since we had to replace our aging 30 year main fire engine. The loss of this truck has left a void to this day.